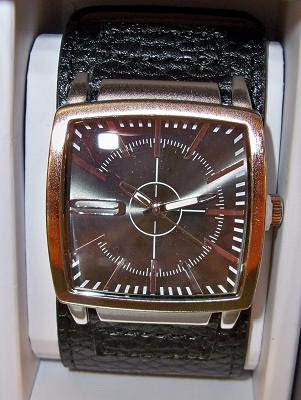 Here's an interesting looking square watch from Mossimo at Target. The strap is a wide gauntlet-style construct. Sears is a good place for watch hardware!